The amount of salt we use to melt icy driveways, steps, and sidewalks is not great for the environment, but icy walkways and driveways are slip-and-fall hazards, especially for young children and the elderly. Salting is sometimes a necessary evil, but the good news is that you can use a lot less salt than you think. Our tendency is to dump a ton of salt on icy areas, but when it comes to salt, more isn’t better. To clear a 250 square foot area, you only need about a pound of salt, about the amount that you can scoop up with a coffee mug. The excess just ends up sitting on the ground until rain washes it into our waterways, leading to abnormal chloride concentrations. The video below shows you some handy alternatives to road salt. You also want to be sure that you’re choosing the right kind of salt. Sodium chloride, which is the most common kind of road salt, only works when it’s 32F or above. If you spread sodium chloride on ice when it’s below freezing outside, it won’t melt the ice. On very cold days, you’ll need to spring for more expensive salts or skip it. 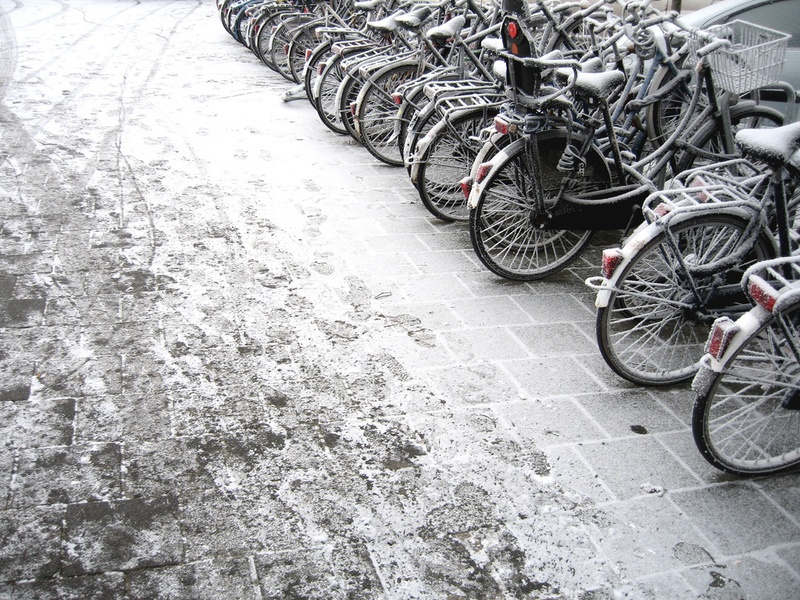 Salting without shoveling is another common misuse of road salt. Road salt is not great at melting snow, so you’re just polluting without making your walkways or driveways safer. Shovel first, then salt lightly. Once the ice melts, you can sweep up any excess salt to reuse. For smaller spaces, you might not need salt at all. Boiling water or boiling water mixed with dish soap and rubbing alcohol will soften ice, so that you can use a shovel to chip it away. It takes more work, but it saves money and reduces your reliance on polluting road salt. Smarter salting doesn’t just reduce water pollution, it also saves you money! With a little bit of elbow grease followed by careful salt application, you can limit the amount of road salt you have to use and buy over time. Becky Striepe (rhymes with “sleepy”) is an Impact Mill contributor and crafts and food writer from Atlanta who has a passion for making our planet a healthier, happier, and more compassionate place to live. Her mission is to make vegan food and crafts accessible to everyone.